While the fragrance of lavender lends itself to all sorts of cosmetic uses, it is a wonderful ingredient to cook with, too. The secret is to use enough lavender to impart flavor, without having your food taste like soap. That can be a tricky balance. Lavender is a traditional ingredient in Herbes de Provence, a French seasoning blend, often used with meats like lamb or pork. Lavender can be used for so much more. I love using lavender is sweet dishes, like shortbread and in syrups that can be added to cocktails. 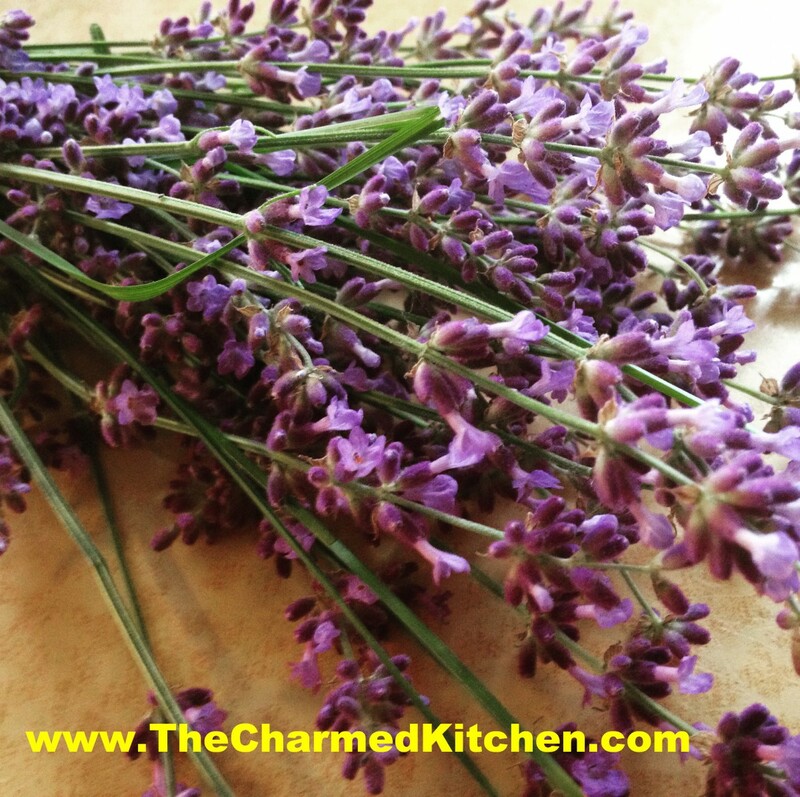 All the recipes are using lavender blossoms that have been harvested and then allowed to dry. You can use fresh blossoms, too. Harvest blossoms before they are fully open, if you can. Cut them with at least a few inches of their stems attached. I tie them together in small bunches, hang them up. and allow them to air dry. Once dry, I strip the blossoms off the stems and store in an airtight jar. Store in a reasonable cool location. 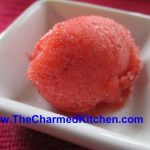 So here is a compilation of some of my favorite lavender recipes. I hope you enjoy them as much as I do. Combine sugar and water in a small saucepan. Add lavender and cook on low heat until sugar is dissolved. Bring to a boil and cook for 2-3 minutes, just until it starts to thicken a bit. Then set to the side to cool. Strain out the lavender and refrigerate. Yields just under a cup of syrup. Will keep in the fridge for weeks and weeks. Pour gin, lemon juice and lavender syrup into a glass and stir. Top with club soda, add some ice and garnish with a lemon slice. Cream together the one-cup of sugar and butter. Stir in the flour and lavender blossoms. Press mixture in to a greased 9×13 inch-baking dish. Cut or score into small squares, or on the diagonal for diamond shapes. Sprinkle with extra sugar and bake in a preheated 300-degree oven for 50-55 minutes or until lightly browned around the edges. 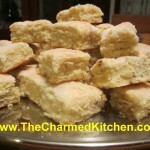 Re-cut the squares as soon as you remove the shortbread from the oven. Cool before removing from pan. Make about 100 small squares. * If you don’t have vanilla sugar just use granulated sugar and add 2 teaspoons of vanilla extract to the dough. Some specialty stores sell vanilla sugar and it is expensive. I find it easy to just make my own. Vanilla sugar can be used in baking or to top desserts, in tea, and other drinks. I love to sprinkle vanilla sugar on sugar cookies and on muffins, too. 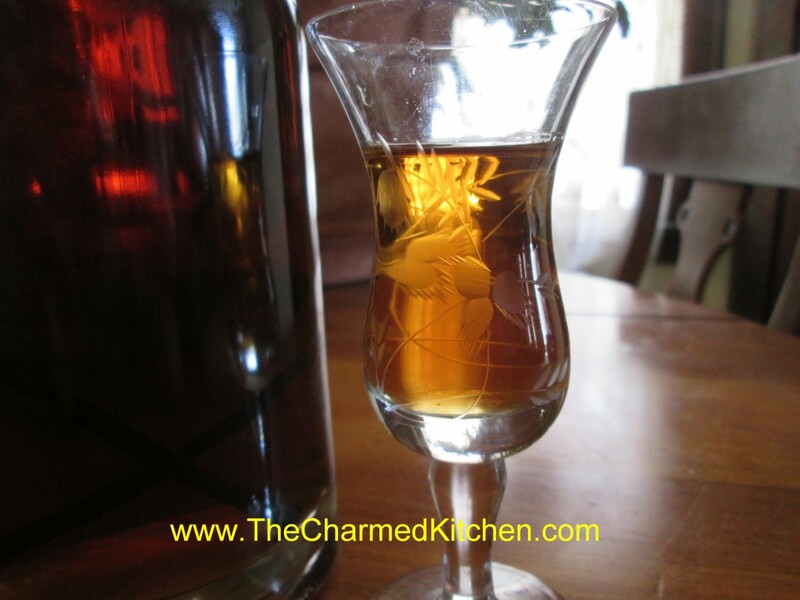 I buy vanilla beans by the pound online and use them in cooking and to make my own vanilla extract. To make vanilla sugar just cut vanilla beans in half lengthwise and then into 1 inch pieces. Place granulated sugar in a jar and add the vanilla beans. Cover jar and shake once in awhile. The sugar is fragrant in about a week but will get stronger the longer it sits. I use one vanilla bean per cup of sugar. You can add more sugar to the jar as you use it. The beans will continue to flavor new sugar added to the jar for some time. 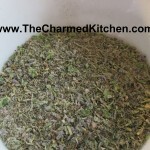 I make my own herb and spice blends often, because it gives me control over what I put in it. I also grow a lot of herbs, so it just makes sense. You can use dried or fresh herbs in this recipe. 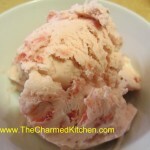 If you are using any fresh herbs, then store your mix in the freezer. 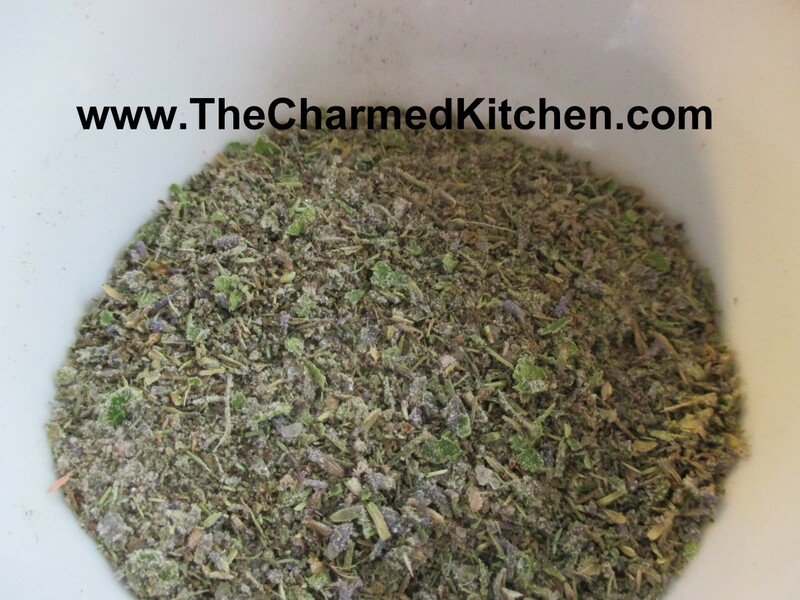 Blend fresh or dried herbs until bay leaves are powdered. Rub this mixture on grilled meats, roasts, chicken, or fish. If using fresh herbs, make small amounts and freeze what is unused. I started by combining 2 cups of lavender blossoms with about 4 cups of vodka in a large Mason jar. These were dried blossoms from last year’s harvest. I put the lid on the jar and let it steep together for a few weeks. After a few weeks I strained out the blossoms. Then I poured the mixture through a strainer lined with a coffee filter to get out any fine particles so my end product would be clear. I had expected the mixture to be a lavender color. It ended up a pretty honey brown color instead. It also had a very strong fragrance and flavor of lavender. Quite pleasant. After tasting the lavender vodka I decided to add sugar to the mixture. I made a cup of sugar syrup by combining one cup of sugar with 1/2 cup of water in a small pot and brought it to a boil. This gave me a cup of sugar syrup. 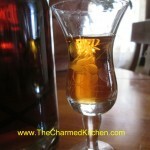 Once the sugar syrup cooled to room temp I added it to the lavender vodka and allowed this to mellow for another week. The odd thing was that at first the sugar syrup and lavender vodka would not blend. The sugar syrup settled to the bottom of the bottle. No amount of stirring and shaking seemed to matter. I’d all but given up when a friend was over and tipped the bottle a few times. Amazingly it finally combined. On the advice of another friend I decided to add a couple of vanilla beans as well. The flavor is pretty interesting. It’s easy to make. Just add 2 cups of vinegar for every cup of blossoms. If you are using dried flowers use 1/3 cup for every 2 cups of vinegar. Store in a cool, dark place in a container with a tight-fitting lid.Steep for at least 2 weeks- or longer. Be sure to use vinegar that is 5% acidity- it will say that on the label. I like to use white wine vinegar, red wine vinegar or cider vinegar.